Early on a June Saturday, while most of the city was asleep, a group of Roundarch Isobar Chicagoans met in Dailey Plaza to volunteer for the Chicago Cares 20th Annual Serve-A-Thon.? The Serve-A-Thon is the largest single day of service in Chicago.? Over 5,000 volunteers help to transform Chicago Public Schools and improve learning environments for over 15,000 local students.? After the opening ceremony, which included a guest appearance by Chelsea Clinton, we made our way to bus number 28.? Our destination for the day was, A.N. Pritzker School in Wicker Park. ?We were greeted with a very warm welcome from the Principal, Dr. Joenile S. Albert-Reese.? She talked about the impact that the group of volunteers on site would make in just one day for the children of her school.? 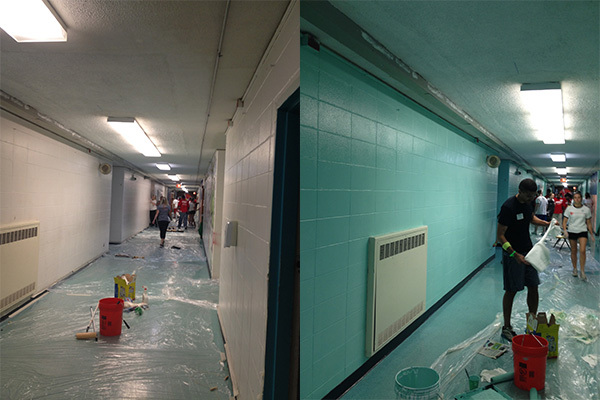 Our main task would be to re-paint every hallway and multiple classrooms in the school. ?We spread out throughout the building and started taping and washing the walls in preparation for the makeover.? The white hallways would be painted ?refresh? blue and the classrooms would be painted ?daffodil? yellow. Another project some of our team members helped to execute was building planters for the campus.? This was a build from scratch project that included the use of power tools.? By the end of the day the flowers were in the planters and the second coat of paint was starting to dry, the children of A.N. Pritzker School would walk in Monday morning to a completely brightened environment.? 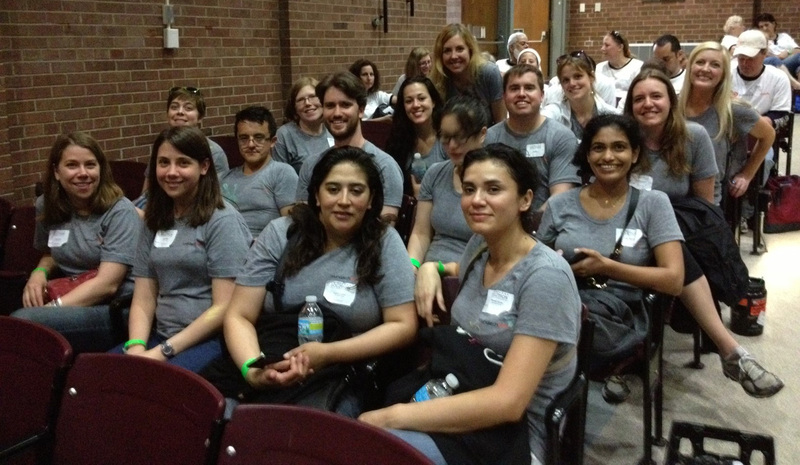 The theme of the Serve-A-Thon this year was ?Be the Solution?, after our day of service the theme really rang true.? Knowing the impact we had on one school and the change that the thousands of volunteers would have accomplished across the city, we truly felt we were a part of ?the solution?.